Also known as medial tibial stress syndrome is a common symptom seen with athletes. Individuals may report chronic pain along the medial lower leg. Without good care of this injury, symptoms with develop and worsen. Some patients may note swelling of the anterior lower leg. These muscle compartments may feel tense and patients might experience weakness or pain with passive plantar flexion. Often, the pain is recurrent and associated with repetitive and strenuous activity such as: running on hard surfaces or excessive use of the foot flexors (gastrocnemius and soleus). The pain may progressively worsen both during and post activity. Individuals will also find pain on palpation of the posterior medial edge of the tibia (shin bone) when resting. In extreme cases, individuals may find pain on walking and even at rest. Without proper care, symptoms may develop into a stress fracture. Often the causes of shin splints are multi-factorial, involving training errors and abnormalities in biomechanics. It has been suggested that the muscle pull from tight calves may cause stress to the tibial bone. Strong and taught calf muscles put stress on the bone like a taut bow string would put stress on a bow. 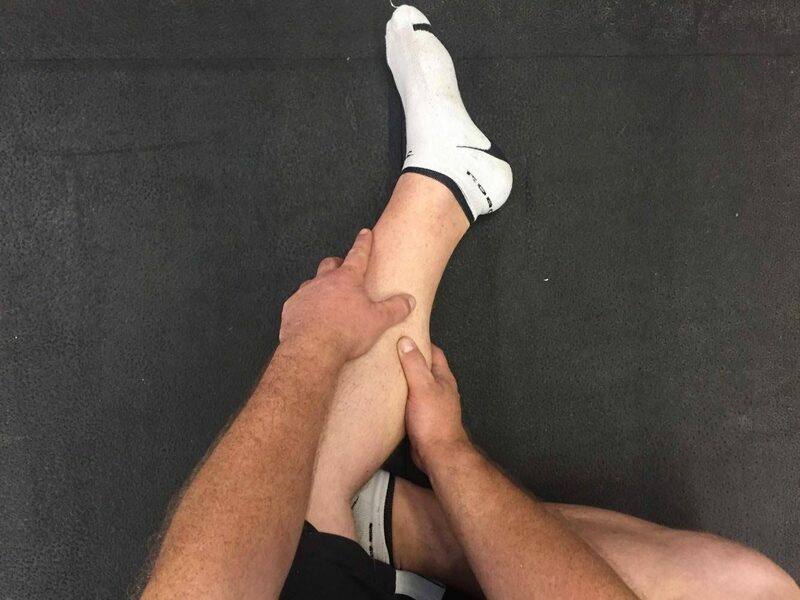 It is therefore important to reduce the tension within the calf by using several techniques such as; massage, foam rolling and stretching. It is also advisable to strengthen the anterior muscles of the tibia. Biomechanical factors are widely believed to play a role in the development of shin splints. The movement of the foot when running is extremely complex and any abnormality of this motion could cause a sequence of events moving up the body. Such symptoms may include inversion of the runners forefoot in respect to the rear foot or over pronation. Overused and fatigued muscles are another cause thought to contribute to shin splints. This is most frequently seen in the under-conditioned athlete who trains too hard too soon and those not allowing sufficient recovery. It has been suggested that muscles act as shock absorbers. When the muscle is fatigued, these muscles can no longer absorb the stress of movement, causing direct stress to the bone. This overstressing of the bone causes symptoms of shin splints. Reduction of training errors is one of the key elements to treating chronic shin splints. This includes reducing training on hard surfaces, increasing recovery and reducing rapid training progression. Strengthening the anterior muscles of the lower leg to prevent muscular fatigue. Try proprioception (balance) training at the start and end of training sessions when you will be fatigued. This creates more of a challenge! Rest to allow healing. If your symptoms are severe it might be advisable to stop any heavy weight bearing activity. Following this period of rest you should slowly return to activity. During rest, you should maintain cardiovascular fitness through swimming or cycling. Decrease inflammation in the limb through the use of ice compression and anti-inflammatories. I have found positive results using ice pre-training and heat post training. Correct biomechanical problems through orthotic insoles and purchasing appropriate running/training shoes. Wear correct supportive footwear when running and training. This might mean transferring insoles between training shoes. Ensure you warm up sufficiently prior to training. This should include walks rolling through the feet and foam rolling of the calf muscles. Increase flexibility within the lower limbs, particularly your plantarflexion. Strengthen the lower limbs to reduce muscle fatigue. Bennett, J.E., Reinking, M.F., Pluemer, B., Pentel, A., Seaton, M. and Killian, C., 2001. 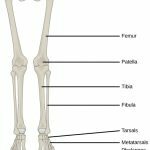 Factors contributing to the development of medial tibial stress syndrome in high school runners. Journal of Orthopaedic & Sports Physical Therapy, 31(9), pp.504-510. Galbraith, R.M. and Lavallee, M.E., 2009. Medial tibial stress syndrome: conservative treatment options. Current reviews in musculoskeletal medicine, 2(3), pp.127-133. Massey, P., 2005. Pilates in Sport-A tool for injury prevention and injury treatment. Sport EX Medicine, 23, pp.9-15. Next Post Sports Drinks – Good, Bad or Hype?